Hair is considered to be lifeless after it grows from the scalp, however well-groomed hair plays a major role in determining our appearances and lifestyle. Faded fragile and split hair lacking luster is often a sign of stress, pressure and inadequate nutrition, slowing down growth and increasing hair loss. Dr. Dabour introduces purifying product which purifies even your soul. An effective complex of etheric oils for softening and uplifting muscles and joints. Hydrates, revitalizes, refreshes, combining traditional medicinal herbs with up to date technologies, infused with olive and orchid extracts. 50ml. This scrub smoothes away roughness and promotes radiant, silky-soft skin, this soap stimulates circulation, removes surface build-up, and renders your skin velvety-smooth. This combination is known to have antibacterial, anti fungal and renewal skin. It moisturizes your skin, regenerates skin cells with sweet floral scent. Good for body, hair and face. A natural nail treatment soap, rich in Carnation flower extract, known for its potent anti-fungal activity, used for treating various face and body sores such as: acne, back sores, etc. This unique peeling soap gives the skin a soft, silk-like feeling, while gently but efficiently removing rough spots and dead skin cells from the surface. I would like to thank you from the depths of my heart for giving me my smile back, only one week later I see an amazing result thank you for fulfilling my dream after 6 months of unsuccessful treatment by dermatologists. 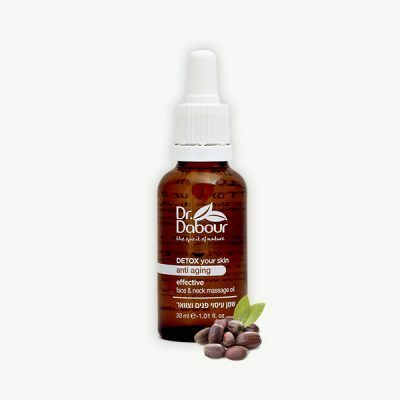 Words cannot even describe how absolutely incredible Dr. Dabour products are. I have been using manny products and not one could get me the resaluts i get with Dr.Dabour’s products.